Targeted Leadership senior executives and consultants have demonstrated success in significantly improving student achievement results in their schools and district level positions. They are expert facilitators and coaches who understand the challenges of leading improvement efforts in culturally and linguistically diverse settings. Please select a team member to view their profile. The following consultants are all independent contractors that collaborate on specific TLC projects. They are not employees of TLC and often collaborate with other companies on projects or work projects of their own. Co-founder and Partner with Targeted Leadership Consulting, Dr. Cudeiro has served both at the school and district level. Her last district level position was as Superintendent of the Bellevue School District in Bellevue, Washington where she implemented instructional leadership teams and professional learning communities focused on leading instructional improvement efforts. Prior to this, she was deputy superintendent for the Boston Public Schools. During her tenure in the Boston Public Schools, Dr. Cudeiro was instrumental in the development and implementation of the school district's Principal Evaluation and Accountability Process. Additionally, Dr. Cudeiro served for 15 years as teacher, bilingual staff developer, and principal in California public schools. She has also been a Master Practitioner at UCLA. 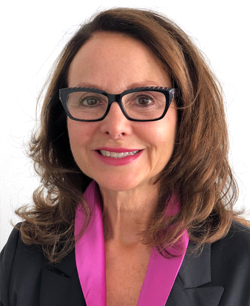 Following her work at UCLA, Dr. Cudeiro completed her doctorate in the Urban Superintendent Program at Harvard University, where she served for four years as Adjunct Professor. All rights reserved. Targeted Leadership Consulting, the TLC logo and all other materials contained herein are trademarks of TLC Intellectual Property and/or affiliates.